This dish is right down addictive. So easy to make and affordable. 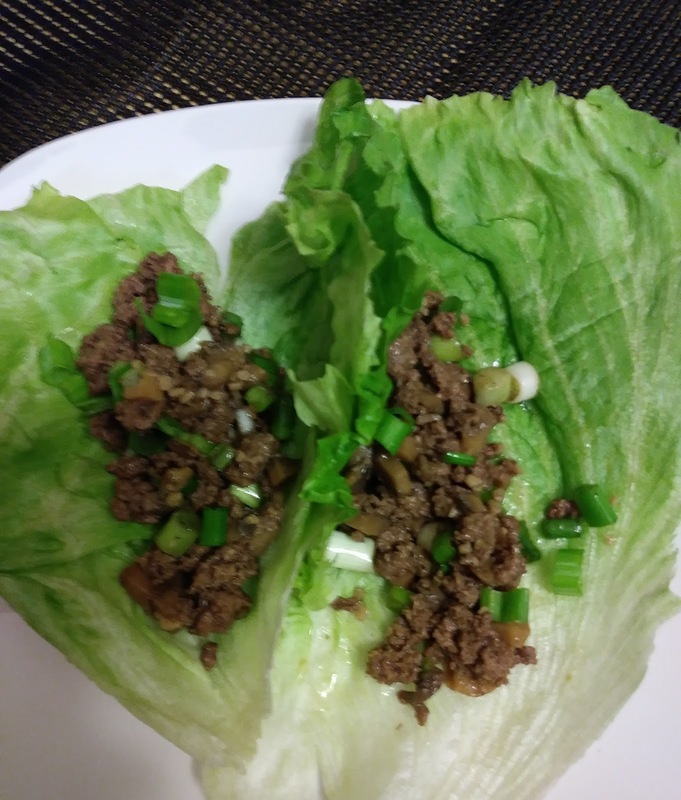 Seasoned ground beef and lettuce, can't get much easier than that. Separate lettuce leaves, clean, dry and set aside. Brown ground beef in skillet over medium heat. Season with salt, pepper and onion powder. Breaking meat up as it cooks. Stir in remaining ingredients except lettuce. Cook another 2 minutes. To serve, spoon meat mixture onto the center of lettuce leave (taco style). Sounds filling and delicious! Yum! Love this recipe, Christine! I can't wait to make it! Glad you all enjoyed it. Thanks!